Hello dearies! It's End of Season Sale once again, have you shopped for your favorite essentials yet? Here's another great news from one of my favorite footwear brand. New Year Sale Alert: Step into the New Year with brand new footwear from Bambu and get up to 20% discount on regular items with Bambu’s New Year Sale. 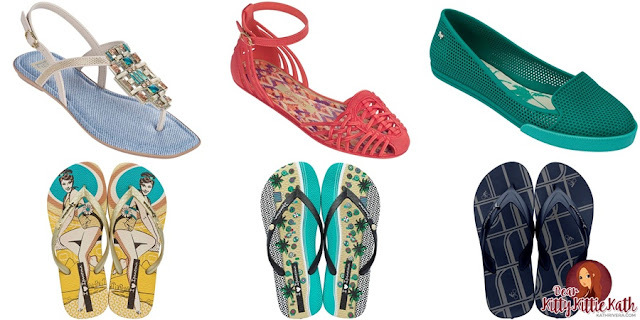 Shop for the latest footwear finds at participating Bambu brands including Ipanema, Grendha, Rider, and Zaxy and enjoy 20% discount on your favorite Bambu footwear products such as flip flops, sandals, ballet flats and more. Bambu products are exclusively distributed by ELRO Retail Corporation. The company owns some of the famous Brazilian brands known for its style and high-quality including Ipanema, Grendha, Rider and Zaxy. 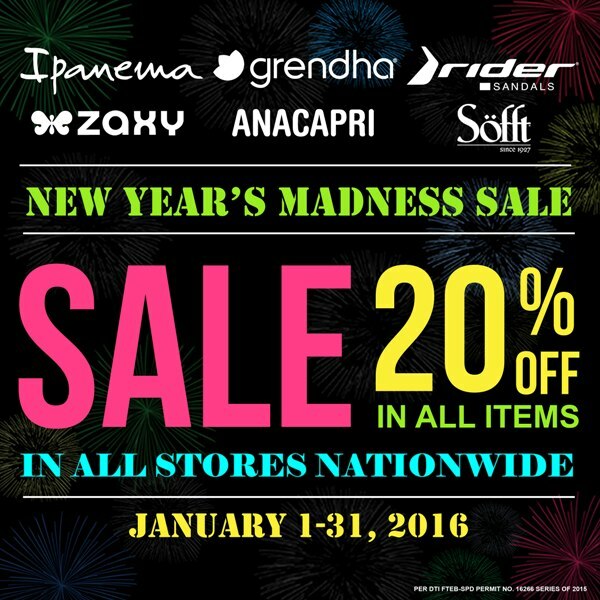 Enjoy Bambu’s New Year Sale from now until January 31, 2016! Don’t miss out on this amazing offer and visit the nearest Bambu Store near you!